" The greatest threat to the planet is the belief someone else will save it"
Of the 32+ million visitors arriving in Thailand every year, experiencing an elephant up close is invariably at the top of everyone’s to do list. However, the elephants they seek to encounter are trapped in an industry that does not respect their wild character, and the scramble for the dollars these tourists bring with them force ever increasing numbers into saddles and overwork. Even with overwhelming evidence to support claims by animal welfare experts, that riding of these extremely intelligent, intensely emotional, sentient beings is harmful, elephant tourism is a largely unregulated industry that is booming. For those choosing to observe wild elephants in their natural habitat, it is impossible not to consider elephants living an unnatural existence in the tourist industry. But wild elephant populations also face their own set of problems with land encroachment, fragmentation of habitat, illegal logging and slash and burn agricultural practices. With a natural migratory behaviour and a reduction in available good food sources and water, human-elephant conflict is increasing. with dire consequence for both humans and elephants alike. Without intervention, the sustainability of the elephants’ natural habitat will deteriorate causing a negative impact on the local community and inevitably threaten the elephants’ existence and disrupt an entire ecosystem. We are not prepared to wait and hope that others will fix the problems elephants in Thailand face. 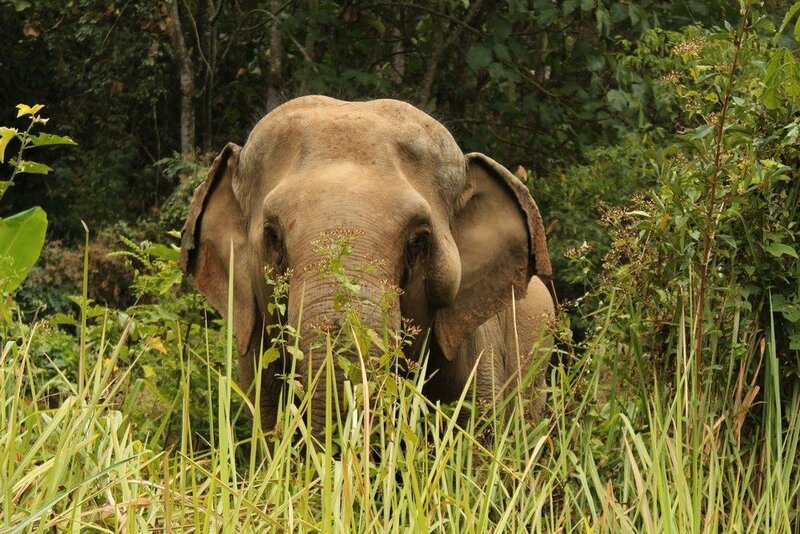 Let us introduce you to the Kwan Jai Elephant Project. Find out about our organization, who we are, our mission, and how it all began. Ready to take the next step? You can become a contributor, participate or simply learn and help educate others.